The following was written by Marianne Holman Prescott for the Deseret News. To read the full article, click here. 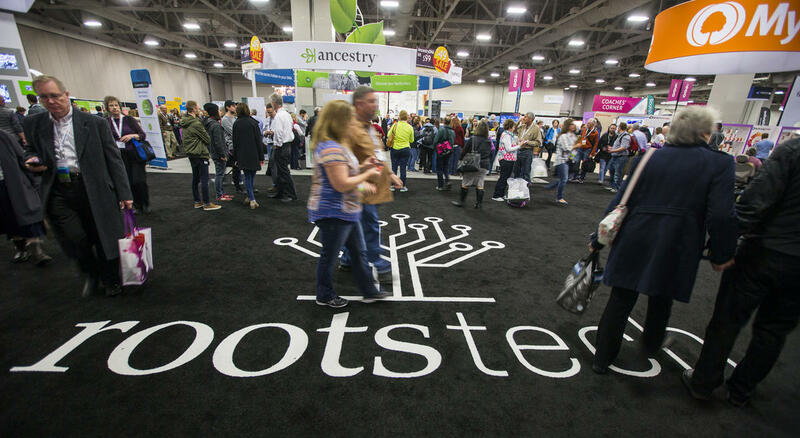 Thousands of visitors will gather in downtown Salt Lake City on Feb. 28 through March 3 for the annual RootsTech conference. First held in 2011, RootsTech is the world’s largest family history and technology conference. With more than 200 classes, the conference offers those of all abilities and ages a variety of topics associated with family history. On March 3, families are invited to participate in Family Discovery Day. It is a free, one-day event that includes devotionals from General Authorities, inspirational breakout sessions and hands-on activities. Elder Dallin H. Oaks of the Quorum of the Twelve Apostles and his wife, Sister Kristen M. Oaks, are scheduled to speak during the Family Discovery Day, as well as Hank R. Smith and Jason Hewlett. Musical guests include singers Evie Clair, Kenya Clark and Alex Melecio.